The move to trade popular longtime kicker Josh Scobee to the Pittsburgh Steelers in exchange for a 2016 sixth-round draft pick wasn’t an easy one for Jacksonville Jaguars general manager Dave Caldwell. 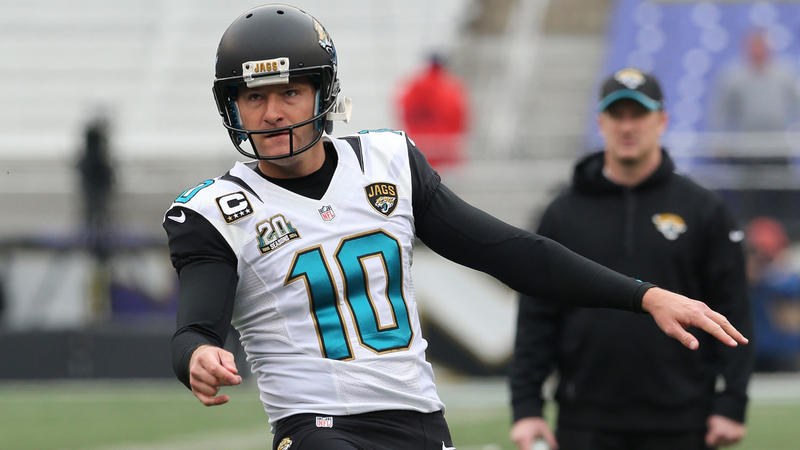 The 33-year-old Scobee, who joined the team as a fifth-round pick in 2004, was Jacksonville’s all-time leader in points and field goals and third in games played. "This was easily the toughest decision that we’ve had to make in our time here," Caldwell said, per the Florida Times-Union. Caldwell said the Steelers offered the best deal available for the kicker, with other clubs offering 2017 draft picks. The decision means the Jaguars will go head into the regular season with rookie Jason Meyers handling the kicking duties. "Jason’s done a great job here," Caldwell said. "The only thing he’s missing is really the experience and he’s going to get that through this process. This is a young guy that we can grow with as a team and as a franchise." Meyers, who played collegiately at Marist College, signed with the Jaguars March 3. He’s connected on 4 of 5 field goal attempts thus far in the preseason. "He’s been very good — very solid and consistent," head coach Gus Bradley said of Meyers. "And his demeanor – nothing really rattles him."